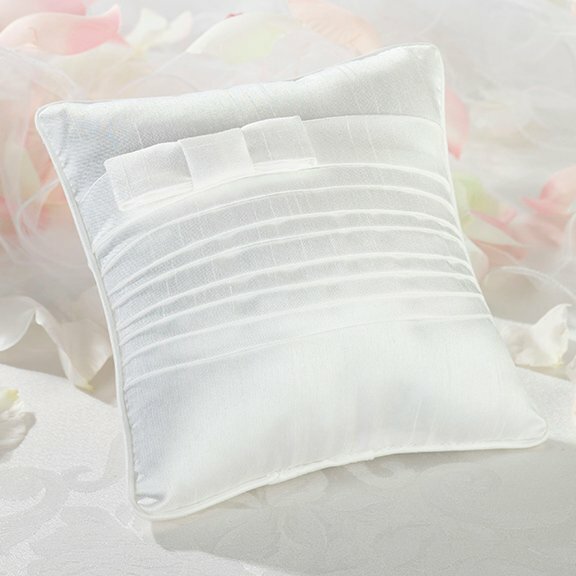 Brides who favor a tailored look will enjoy the modern feel of the White Pleated Ring Boy Pillow. This softly structured pillow measures 6" square, just the right size for a ring bearer's small hands. It's made of pleated white silk with a simple bow accent. This lovely accessory will make a pretty toss pillow after the wedding.